• David Alan Dyer, 48, 426 Rural Ave.; state police; corruption of a minor, indecent assault; spring 2013 in Fairfield Township; released on $25,000 supervised bail on the stipulation that he has no contact with the victim. • Darren Robert Ulmer, 26, 1216 Sherman St.; state police; driving under the influence, texting while driving, reckless driving, hit and run on Lincoln Drive, May 27; released on $10,000 bail. • Dustin Ray Wells, 34, 619 W. Fourth St.; state police; possesion of a handgun as a person not to possess, reckless driving, driving in the wrong lane on June 9 on Interstate 180 near the Cemetery Road overpass; released on $25,000 bail. • Jacob Orion Ulrich, 24, 740 Perry Highway A., Harmony; state police; possession of a small amount of marijuana, drug paraphernalia, driving under the influence, reckless driving, ran a yellow flashing traffic light; May 13 on Third Street at Westminster Drive; released on $5,000 bail. • William Brendan Kline, 19, 420 Fifth Ave., Apt. 2, South Williamsport; state police; driving under the influence, no headlights, reckless driving, underage purchase of alcohol, minor driving under the influence on May 11 at South Market St. and Bald Eagle Ave.; released on $5,000 bail. 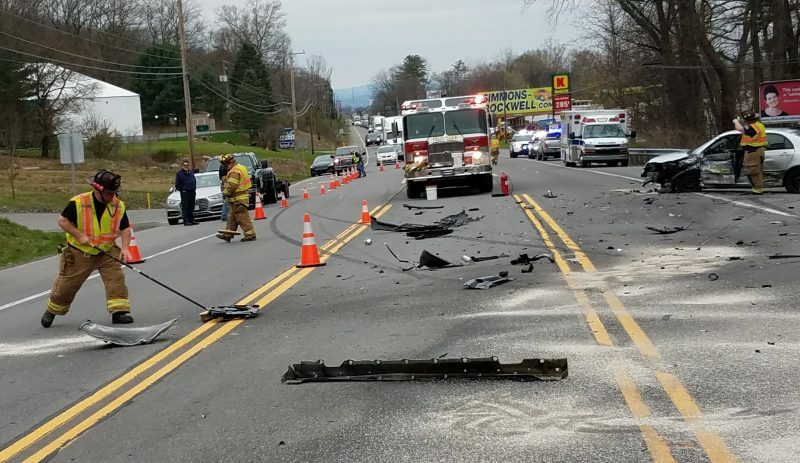 • Jamie L. McLean, 36, 34 Roberts St., New York; driving under the influence, possession of drug paraphernalia, driving the wrong way, reckless driving, South Williamsport police; at 745 S. Market St., on June 6; released on $10,000 bail. • Terry Lee Bennett, 47, 354 Reeder Road, Cogan Station; state police; driving under the influence, driving in the wrong lane, reckless driving, speeding on Route 973 in Eldred Township on May 16; released on $5,000 bail.